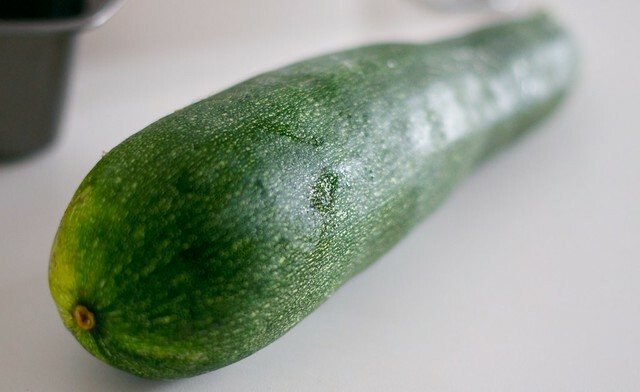 Frankly, the size of this zucchini is intimidating. It was just another CSA day and another collection of vegetables to bring home. Normalcy turned into ludicrosity as a) our refrigerator could barely hold this zucchini; b) our cat, Kate, was visibly awed by it and c) it crushed the more delicate items in my bag as I was carrying it home. 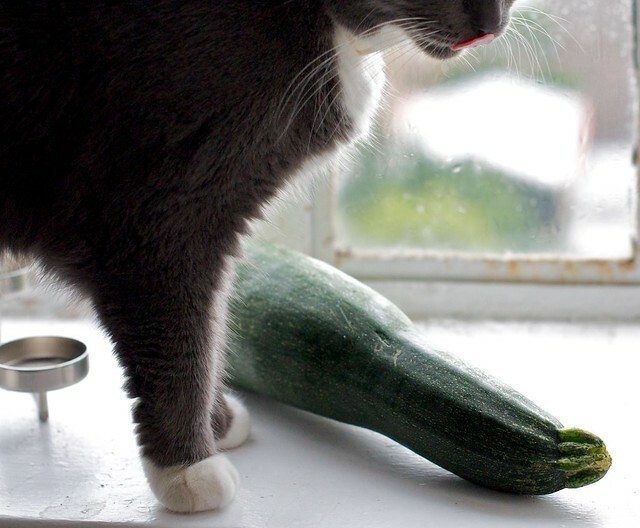 I needed to find a recipe for this zucchini quickly, if only to clear some room in the fridge! 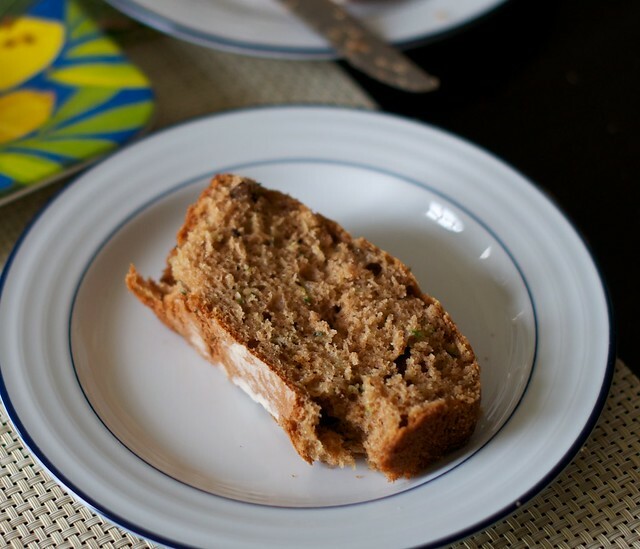 Zucchini bread is a staple in many homes: it's moist, it's easy to assemble; it can be served for a snack or breakfast. 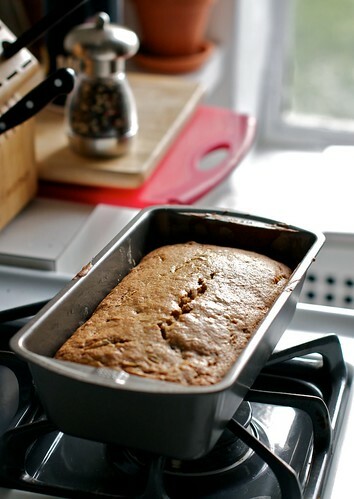 This kind of bread is known as a 'quick bread' because it's made with a leavening agent (baking powder and/or soda) that stimulates immediate baking of the dough. 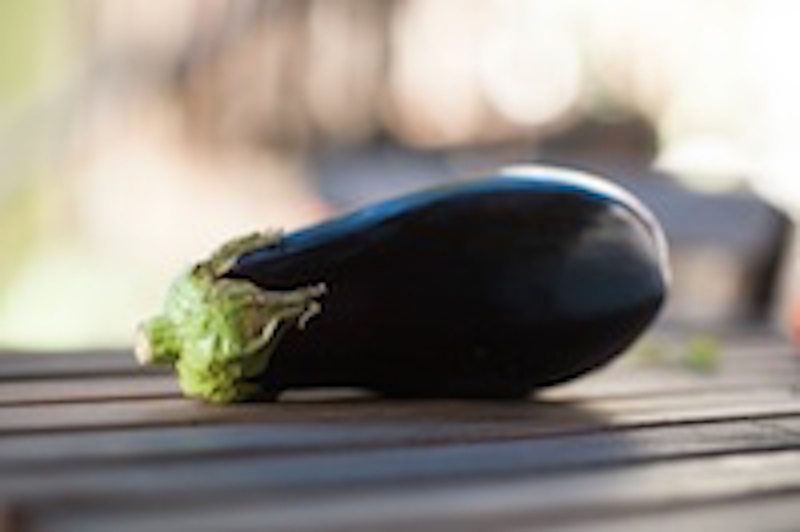 If you're a gardener or farmer, it's a fantastic way to enjoy your excess supply. This recipe is adapted from The Williams-Sonoma Cookbook. If you have an insatiable sweet tooth, substitute chocolate chips for the dried plums. Everything assembles easily and within 70 minutes, I was sitting down and enjoying my first piece (to say nothing of my second piece). Alas, the loaf only required about 1/3rd of the massive zucchini. I see more baking in my future! 1) Preheat the oven to 350. Grease and lightly flour the loaf pan. 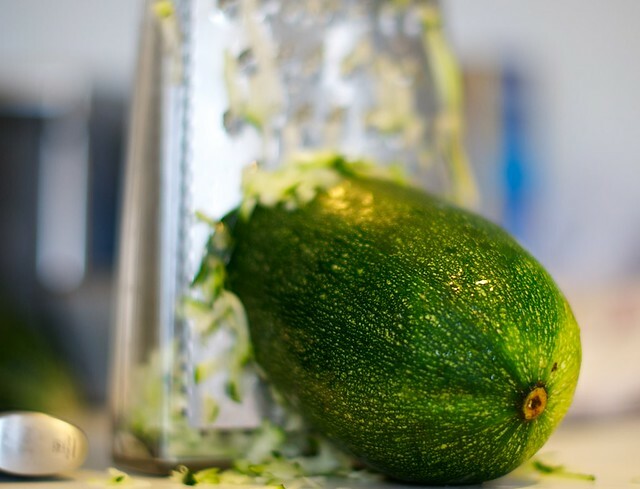 Shred the zucchini using the large holes of a box grater or the shredder blade of a food processor. You should have 1 cup. 2) Combine the oil, sugar, eggs, and vanilla in a bowl. Beat vigorously with a whisk until pale and creamy, about a minute. Stir in the shredded zucchini. 3) In another bowl, stir the flour, baking powder, cinnamon, salt, baking soda, plums, and walnuts. Add the flour mixture to the zucchini mixture and stir until just combined. The batter should be stiff. Scrape the batter into the loaf pan. 4) Bake until the bread is firm to touch--50 to 60 minutes. A cake taster inserted into the middle should come out clean. Let cool in the pan for 10 minutes before turning the bread out and serving. Enjoy!